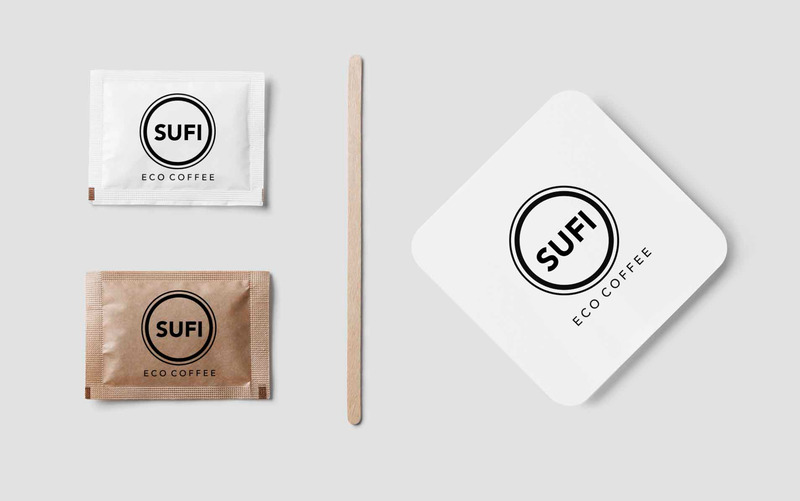 Sufi is a eco friendly coffee brand. 100% Arabic bio, 100% Arabic Decaf bio, and Espresso bio. 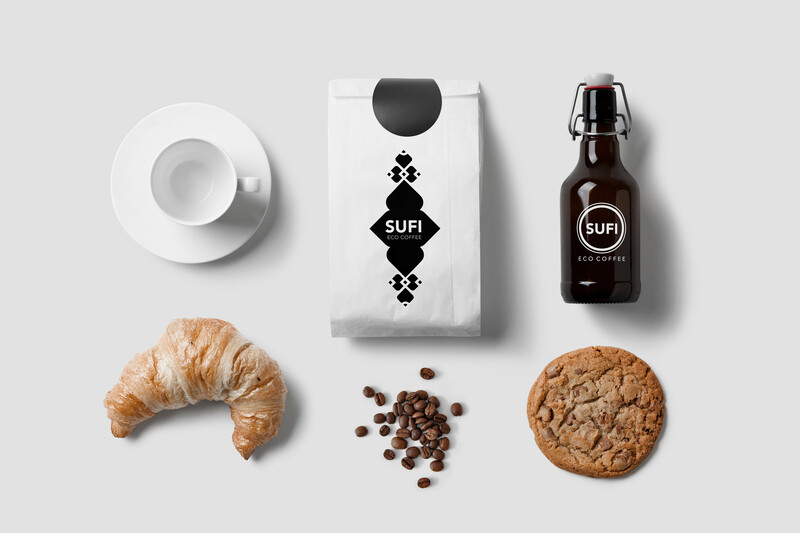 Sufi is a place in Yemen where there is a myth of the first coffee uses in the whole world. 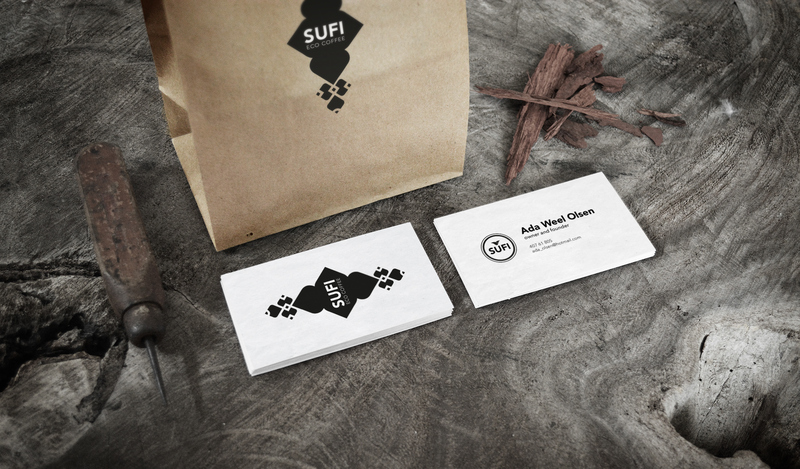 is simple and modern, the identity are design in the background/label. 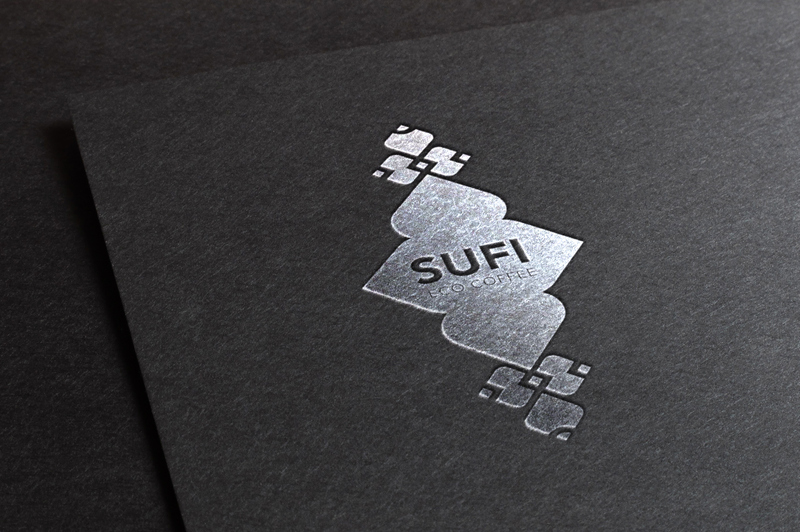 The main logo is inspired by Arabian patterns. 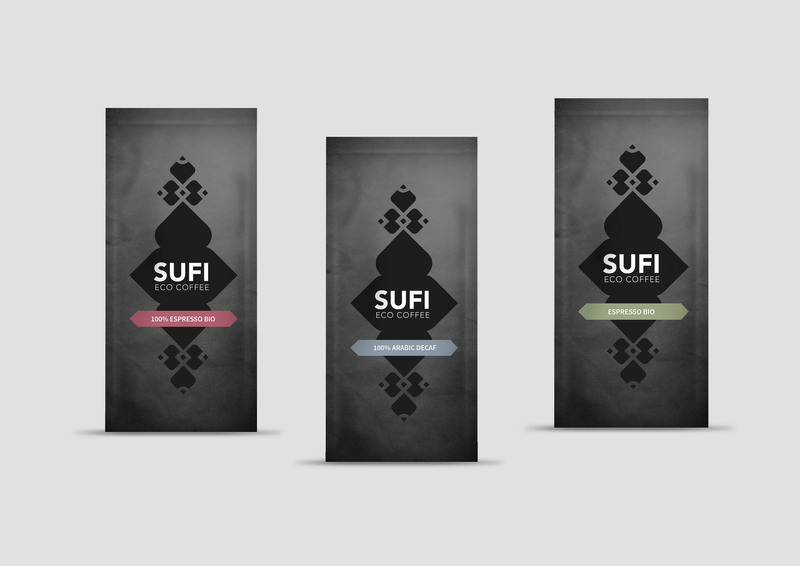 I want the packaging to be decorative, therefore I use decorative arabic pattern to form a label. 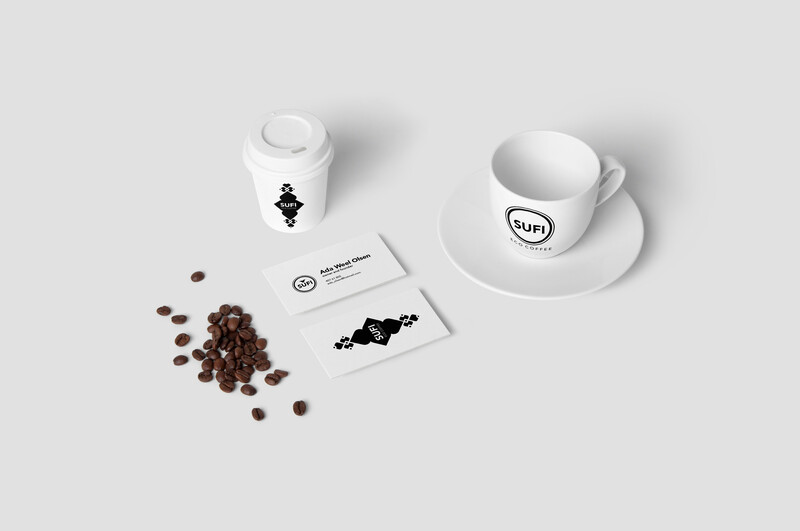 and are placed on the packaging, cups, business card etc. but also it preserves the coffee better than if it been transparent. Therefore it matches their values to be eco-friendly and fair-traded. In Arabia silver and gold is very exclusive, and it matches their Arabian coffee pots. I choose the silver so its get more modern, and stands out from the traditional gold. Instead of typical brown recyclable paper, I choose 100% black recyclable paper. 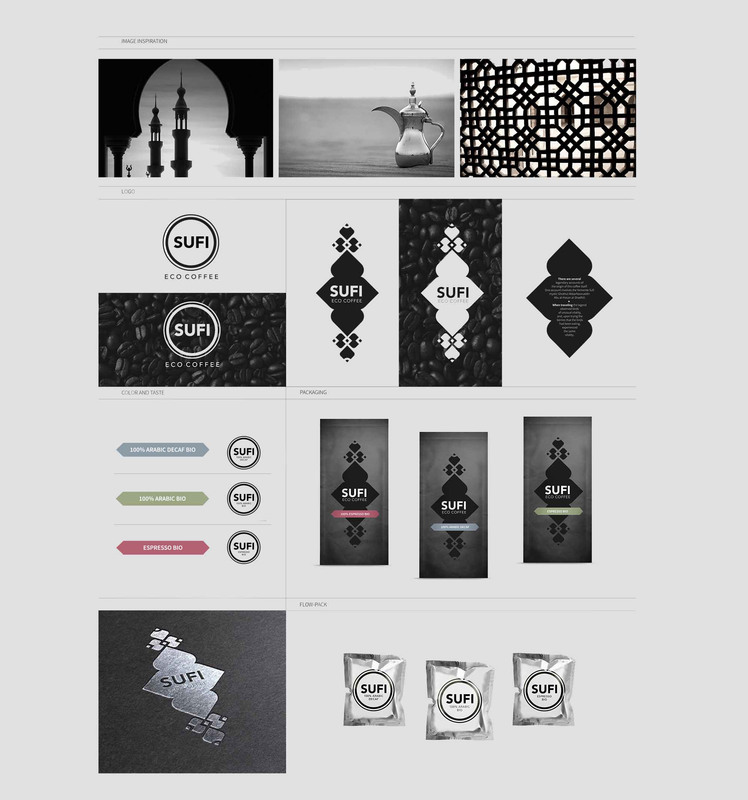 Black is more exclusive and matches the values of the arabic tasty and strong coffee. 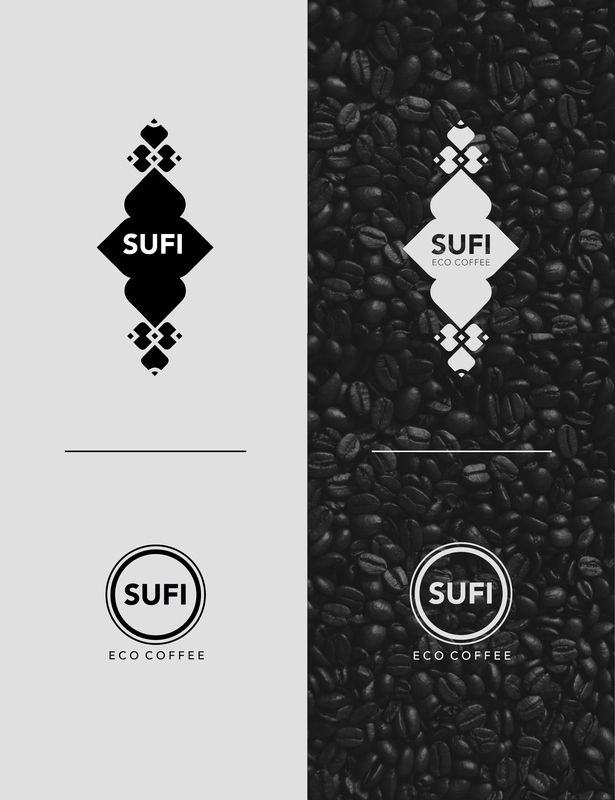 It also different from other fair trade coffee, and look more exclusive. 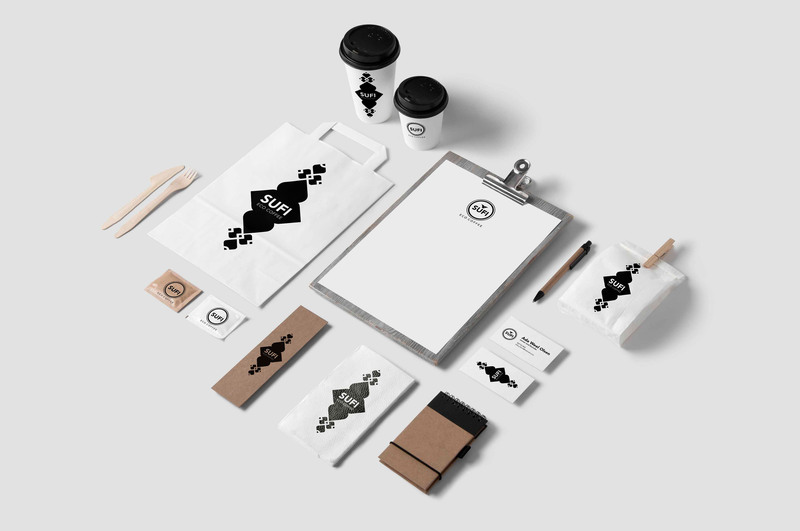 on the front it is only the label with the different tastes that are very visible compared to the black. 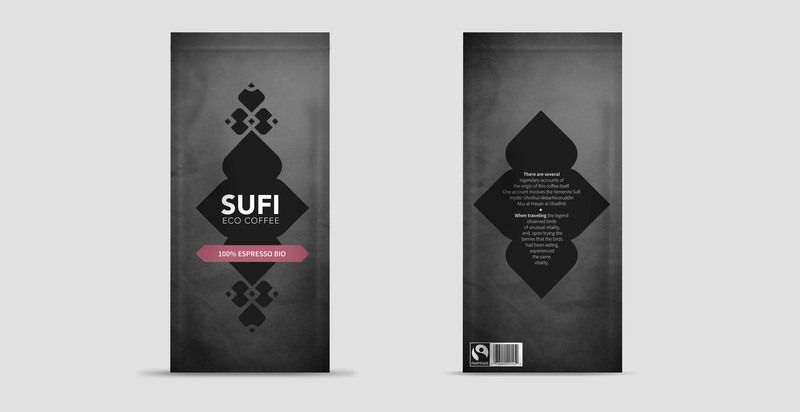 On the back of the packaging it a small text about the concept of this coffee. The first uses of coffee in Arabia. 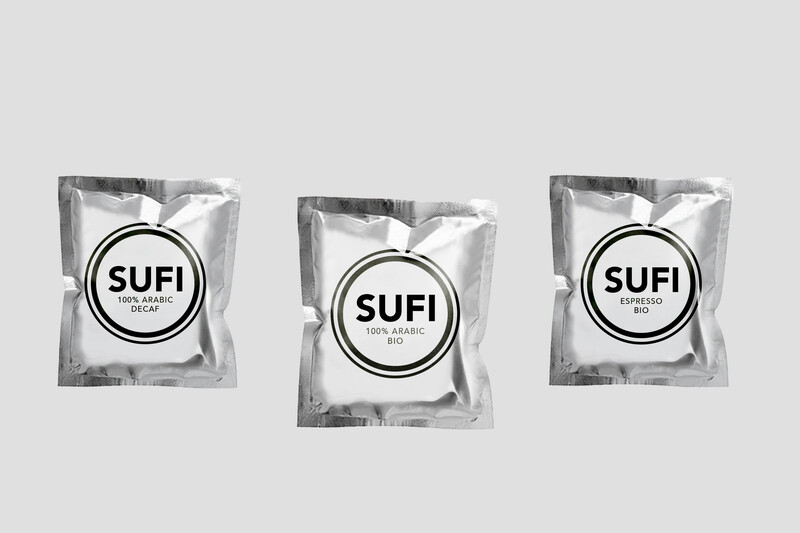 ”100% Arabic bio”, ”100% Arabic Decaf bio” and ”Espresso bio”. The different between the coffee is the color, it is only used one place, but very visible difference. 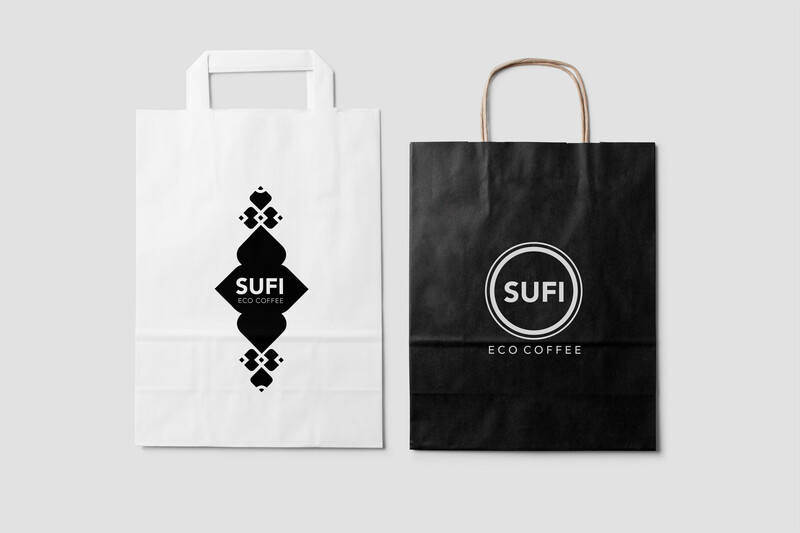 The 100% Arabic bio have the green color because fair-trade and ecological compared with the color green. The 100% Arabic Decaf bio coffee is blue because its is caffeine free. Blue matches the the clean and mild feeling. Espresso bio has the color red, because espresso is very strong and intense like the color red. Feel free to push the blue button!